Warren’s poem is posted above as a downloadable PDF file. The first recounts the narrator’s visit to a friend’s ranch in the high country of the American West, a trip from which he recalls wranglers driving horses down a mountain and an Indian named Laughing Boy who was good at killing rattlesnakes by dousing them with gasoline and flicking a lighted match just before they disappeared into their holes. But it turns out that in “Homage to Theodore Dreiser” the novelist’s Indiana birthplace shares common ground, almost literally–and perhaps ironically, given the name of the town in question–with the first poem’s high-altitude setting: “Past Terre Haute, the diesels pound,/ … Deep/ In the infatuate and foetal dark, beneath/ The unspecifiable weight of the great/ Mid-America loam-sheet, the impacted/ Particular particles of loam, blind,/ Minutely grind … vibrate/ At the incessant passage/ Of the transcontinental truck freight.” In Indiana, loam is pounded by truck freight, while in “Rattlesnake Country” loam was truck freight: “Arid that country and high … but/ One little patch of cool lawn: // Trucks/ Had brought in rich loam. Stonework/ Held it in place like a shelf.” It is on such imported earth that the snakes are set aflame as they disappear into the loam, there to perish, trapped in their holes. A parallel event takes place within Dreiser’s soul: “the screaming, and stench, of a horse-barn aflame,/ … their manes flare up like torches.” The rattlers and horses are both trapped where they live by flames; and the association of makes and horses had already begun in “Rattlesnake Country,” where the flame at the hole-mouth that “flickers blue” was anticipated by the faces of the wranglers driving horses from the ountain pastures, faces “flickering white through the shadow” as “the riderless horses,/ Like quicksilver spilled in dark glimmer and roil, go/ Pouring downward.” Warren intensifies the connection between this recollected scene and that of Laughing Boy and the snakes by saying that both are “nearer” but that the second is nearer than the first: “The wranglers cry out.// And nearer.// But,/ Before I go for my quick coffee-scald and to the corral,/ I hear, much nearer, not far from my window, a croupy/ Gargle of laughter.// It is Laughing Boy.” The Indian’s method for exterminating rattlers is then recounted. The liquid horses prefigure both the poured gasoline and the snakes slithering down their holes–indeed, prefigure the snakes and burning petrol together “Pouring downward,” like “quicksilver spilled in dark.” The burning horses in the Dreiser poem thus recall not just the burning snakes of “Rattlesnake Country” but the linkage already there established between horses and snakes. Warren focuses on Dreiser’s mouth–“Watch his mouth, how it moves without a sound”–as he had, in the poem before, on Laughing Boy’s: “Sometimes, before words come, he utters a sound like croupy laughter.” Both Dreiser and Laughing Boy have trouble getting out the utterance that boils within. Dreiser’s mouth, where “Saliva gathers in the hot darkness of mouth-tissue,” recalls the snake-hole as well, appropriately termed “the hole-mouth,” where flames consume snakes in darkness, as flames consume horses in his soul. This entry was posted in appraisals by non-critics, poems about Dreiser and tagged シオドア・ドライサー, シオドア・ドライザー, シオドー・ドライサー, シオドー・ドライザー, セオドア・ドライサー, セオドア・ドライザー, теодор драйзер, Randolph Paul Runyon, Robert Penn Warren, Theodore Dreiser on July 11, 2016 by Roger W. Smith. Craig Brandon is the author of Murder in the Adirondacks, the definitive book about the Chester Gillette murder case. 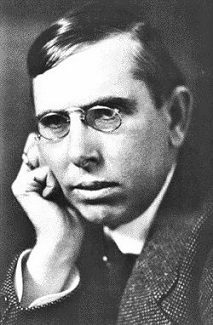 This case, which resulted in Gillette’s execution in Auburn State Prison in New York in 1908, provided the basis for Theodore Dreiser’s novel An American Tragedy. Chester Ellsworth Gillette (1883-1908) was arrested on July 14, 1906 at the Arrowhead Hotel in Inlet, New York, an Adirondack outpost, for the murder of Grace Mae Brown (1886-1906). Brandon gives lectures about the case, about which he is recognized as the foremost authority. In one such lecture, I recall that Brandon spoke of an uncle from Chicago who, learning of Gillette’s arrest from the newspapers, tried to contact either his nephew or the authorities. (I can’t recall which was the case.) Brandon expressed befuddlement over this and implied that the so called uncle was not in fact Chester Gillette’s uncle. There indeed was such an uncle and his name was Josiah Rice. He was an uncle of Chester Gillette on Chester’s mother’s side. Leonard Rice and Dulcena Gale were married in Millbury on April 25, 1855. So, it is apparent that Josiah Rice was the son of Leonard Rice by a first wife of Leonard — namely, Matilda (Coyne) Rice — and it would seem to be a certainty that Matilda died giving birth to Josiah. Therefore, it is conclusive that Chester Gillette’s mother, Louisa (Rice) Gillette was the half-sister of Josiah Rice of Chicago. So, it would be quite natural and proper for Josiah Rice to call himself Chester Gillette’s uncle and to inquire after Chester upon learning of his arrest from newspapers. This entry was posted in genealogy, Gillette case and tagged シオドア・ドライサー, シオドア・ドライザー, シオドー・ドライサー, シオドー・ドライザー, セオドア・ドライサー, セオドア・ドライザー, Chester E. Gillette, Chester Ellsworth Gillette, Chester Gillette, Josiah Rice, Louisa Gillette, Louisa M. Gillette, Louisa M. Rice, Louisa Maria Rice, Louisa RIce, Louisa RIce Gillette, теодор драйзер on July 5, 2016 by Roger W. Smith.